It's no secret that there are tons of things to do in the summer. It always seems like we're on the go 24/7 whether that be to work, a family outing, the pool, or to simply pick up necessities from the store. Costco is probably a weekly stop for most of my readers, and for a good reason! They carry amazing brands you use in your every day life at a sweet price and usually in larger quantities (less stops means more time for your summer activities). 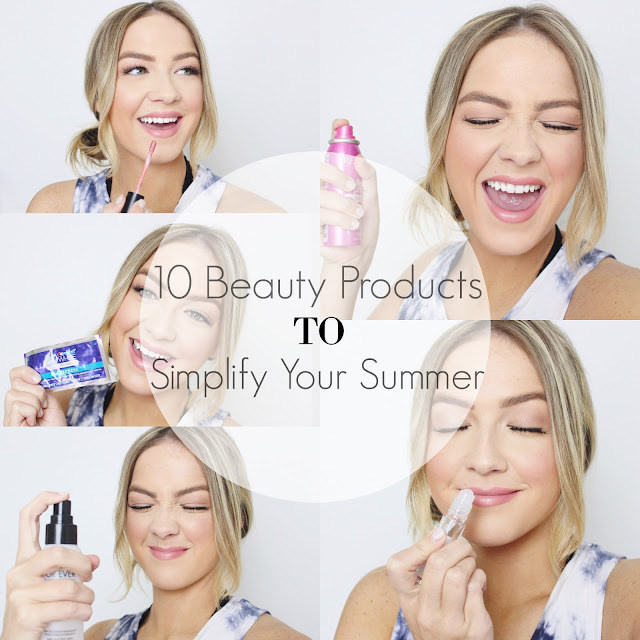 Today I'm sharing 10 of my favorite every day products that will make your summer beauty routine easy and practical. 1. 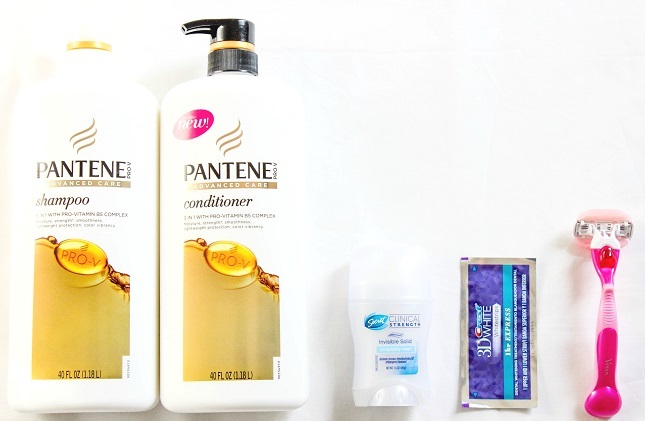 Bulk Shampoo and Conditioner: This is a no brainer! I do this year round but it seems like the summer calls for extra washes due to salt water and chlorine hair! These big boys last for ages! Pantene Advanced Care is for all hair types and is something the entire family can use. 2. Clinical Strength Deodorant: During the summer, the heat really stretches my typical deodorant to the max. Secret Clinical Strength Deodorant lasts through the sweat and heat every day! It's that extra mile I need to stay smelling fresh while outside. 3. Crest 3D White Strips 1hr Express: Generally I use the traditional Crest White Strips but the 1 hr. Express strips are the epitome of time well spent. Just after one use your teeth are a shade whiter. Obviously these pair perfectly with a nice summer tan. Pop em' on before a barbecue or summer date night and you're good to go! 4. Interchangeable Razors: These are another awesome bulk find at Costco. I love the interchangeable razor heads because they always seem to make my legs feel and look silkier than a traditional razor (which is important for beach days obviously). The Gillette Venus Spa Razors glide softly along your skin making shaving a breeze! 5. Waterproof/SPF Foundation: If you have problems with your makeup melting off in the summer, try a waterproof or sweat-proof foundation! It will be a life saver for pool, beach and lake days if you're the type of person that needs some face coverage. 6. 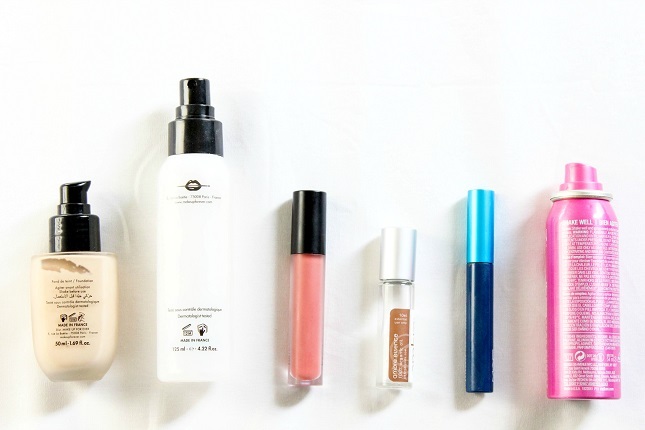 Makeup Setting Spray: Makeup setting spray is your best friend! It will prolong your makeup no matter what type of foundation you are wearing and will give your skin a fresh and healthy look. I love to keep a mini bottle in my purse to refresh my makeup on a hot day! 7. Liquid Lipstick: Liquid lipstick isn't going ANYWHERE in the summer heat, it's there to stay! If you're like me, I need something on my lips at all times. I wore liquid lipsticks to a summer festival last month where the heat rose to 95 degrees and it stayed on like a champ all day! 8. Essential Oil Perfume: I've never found a traditional perfume that outlasted the smell of an essential oil. Probably because when essential oils mix with your body heat, the scent is elevated. These stay on me all day and I find that they even linger after swimming. 9. Waterproof Mascara: Sweat, humidity, water...there's so many ways for your mascara to smudge during the summer. That's why I pull out my trustee waterproof mascara when the temperature reaches around 80 degrees. It's fail-proof and I don't have to worry about raccoon eyes by the end of the day. 10. Dry Shampoo: Not only is dry shampoo great to use in between washes, but it also gives your hair that tousled beach wave look. I spray some in my hair after I've loosely curled it and my hair has an instant "effortless" beachy look! Now that you've read all of my essentials, it's time for a giveaway! If you DON'T want a chance to win a $50 Costco Cash Card then skip this giveaway. If you DO want to win, all you have to do is enter in the Rafflecopter below - it's that simple! We will be choosing 5 lucky winners to receive a $50 Costco Cash Card each! Good luck! Vocal Point is also teaming up with Costco to give you guys 25 summer beauty boxes (worth $150). All you have to do is share your summer beauty tips on Twitter or Instagram with the hashtag #CostcoSummerBeauty by July 15th to enter! Use sunscreen and keep your skin and body hydrated! Sunscreen and don't forget the spot where you part your hair. Use tinted sunscreen or tinted moisturizer with sunscreen and drink water. My best Summer beauty tip is to use a high Broad Spectrum Sunscreen on face that is for the face only and use a SPF lip balm to help lips from drying out. Sunscreen and lots of leave-in conditioner. My hair dries out really easily in the sun and pool water. My best summer beauty tip is to drink plenty of water! It's so hot out that you've got to stay hydrated! And always remember to wear sunscreen! Even on cloudy days! Tinted sunscreen moisturizer!! 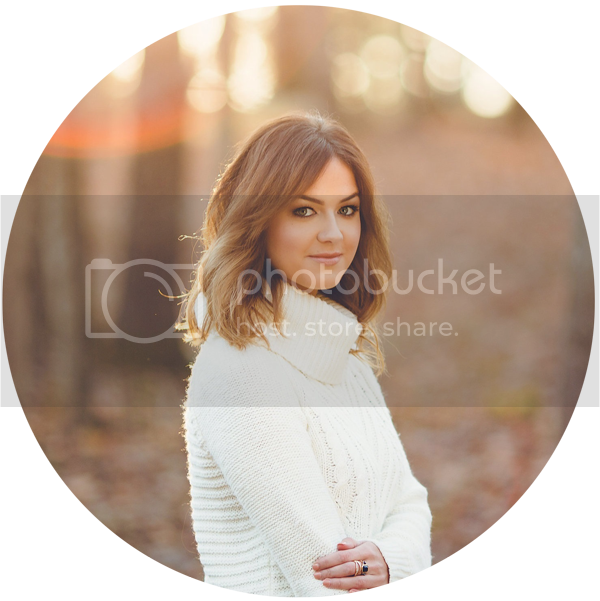 I love the bare minerals complexion rescue!! Always wear a hat and sunscreen. My best summer beauty tip is to wear sunscreen daily even on cloudy days and moisturize daily. Also drink plenty of water, stay hydrated. My best Summer beauty tip is to wash the makeup off your face daily. Always wear sunscreen, hat and sunglasses to protect skin. My best beauty summer tip is to keep coconut oil at hand for frizzy hair or dry skin. ALWAYS wear a moisturizer with sunscreen. I make my own leave in conditioner using 1 capfull of conditioner and 3 capfulls of water! I shake it up in a little spray bottle. It really helps my hair in the summer months with all the swimming we do. And..is GREAT on vacation! Still use a humidifier! They're not just for winter! Spray your hair with leave-in conditioner to fight the frizzies on humid days. Sunscreen and a good facial mist! Stay hydrated and eat fresh berries. My best summer beauty trick is to stay hydrated. Sunscreen,hydrating lotion and drink plenty of water. My best summer beauty tip is to wear your sunglasses to avoid squinting and fine lines/crow's feet! Best tip wear lots of moisturizer, sunscreen, stay hydrated, wear sunglasses to protect your eyes and get plenty rest. Make a picture of water in the a.m. with a lemon squeezed into it and then you have refreshing zippy water to drink all day. My best summer beauty tip is moisturize an protect your skin from sun damage! Apply SPF daily on face and neck even if it seems cloudy. the best summer beauty tip is keep it simple. Coconut Oil! I use it on my face at night and my skin is sooo smooth in the morning! 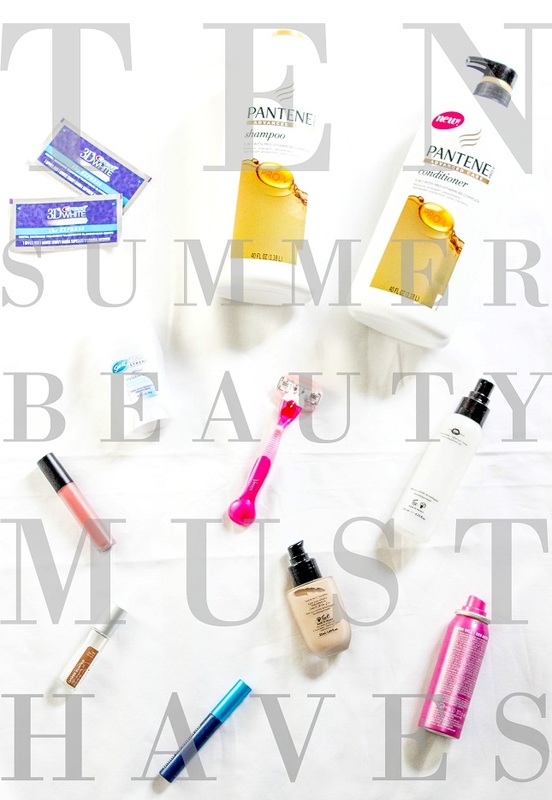 It may not sound like a beauty tip at first but stick with me…make sure that you don’t try to do too much in the summer. If you are rushing around from one activity to the next you won’t eat right, hydrate well and you’ll stress yourself out. All of this is super bad for your body and will start to wear on you physically and no cream can undo too much wear and tear! My summer beauty tip is to keep makeup light and refreshed to prevent pores from clogging in the summer heat! Wear a lot of sunscreen!! My best summer beauty tip is to slather on the sunscreen whenever you go out during the day, and don't forget to refresh it as time goes by! I drink lots of water to stay hydrated. Use moisturizer every day, I keep a couple of different kinds by the couch to use at night. Sunscreen and lots of water! Keep sunblock in the cooler, and wash your face off before reapplying. Use foundation and lipgloss with SPF. My summer beauty tip is to carry travel size versions of your favorite products in your purse for touch-ups as you go. Looking for the best makeup lesson? Try Lina Cameron. She trains the best make-up lesson London. She is amazing with her makeup skills. Also very friendly and helpful and friendly. I am glad to choose her as my trainer.